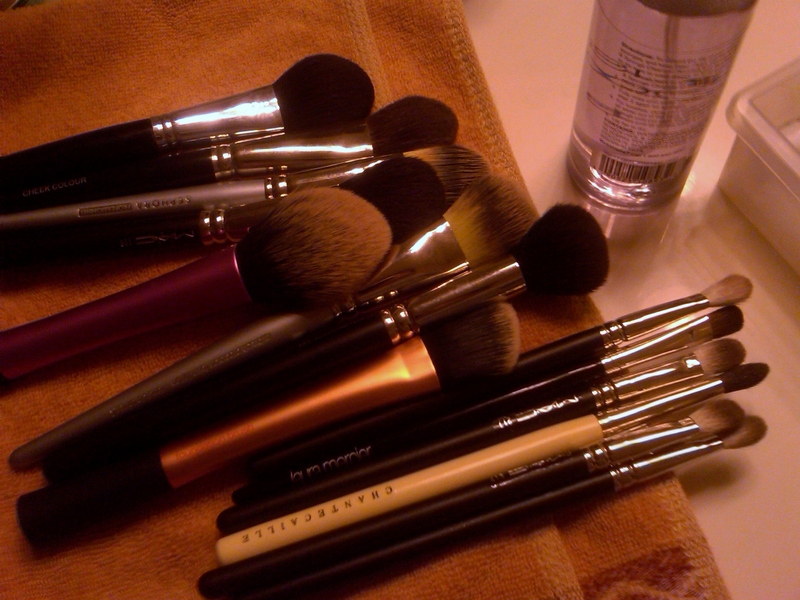 As much as I adore my makeup brushes, I admit to not cleaning them as often as I should unless I have to. Basically, that means I clean them when I’ve run out of options that are clean/usable. Because I own multiple brushes that are the same, or different ones that get that same job done, I get lazy because I know that I don’t have to clean everything all the time. And, since my eye makeup routine is virtually the same everyday, I get lazy with cleaning eye brushes because I know I can just wipe it off and start a new day. I’ve been trying to clean my brushes regularly because I want them to be sanitary. Well,duh. I hate to state the obvious, but it seemed strange to me that I’m OCD about so many other things, yet the items I put on my face everyday gets neglected. And, since I’m paranoid about breakouts, you would think that I’d be the crazy one obsessively cleaning my brushes everyday! I feel like cleaning makeup brushes is like the beauty version of doing laundry. Do you agree? Pictured here are just the “dirty” ones. You don’t want to see how many I actually have, and I’m embarrassed to own so many, lol. I present to you yet another modest haul. I wish I could say that I accumulated these items over time to make it seem more practical, but I didn’t, lol. What can I say? YouTube made me do it. All items purchased were based on stellar reviews online either via YouTube, blogs, and various review sites. None were items that I needed – as all hauls seem to be this way, haha. 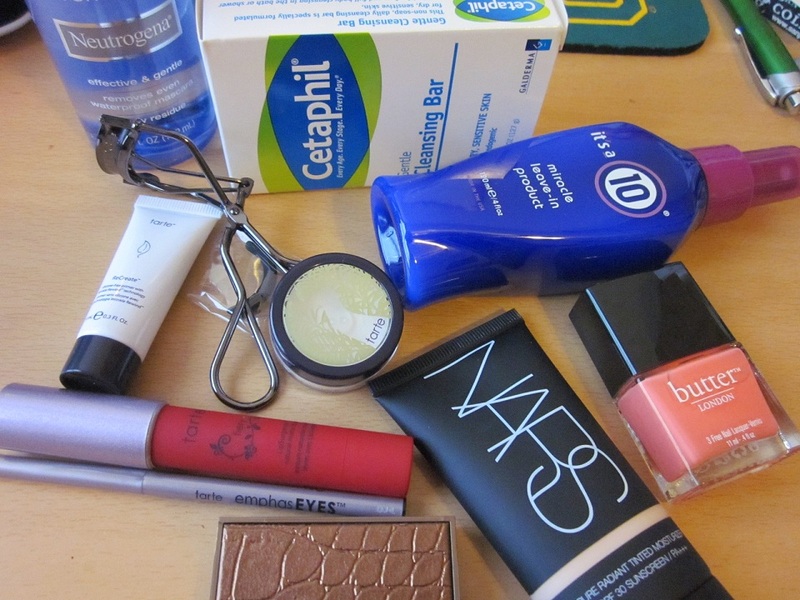 However, I was curious about everything I got apart from the Bare Minerals matte foundation. Side note –> I have a love-hate relationship with Bare Minerals. 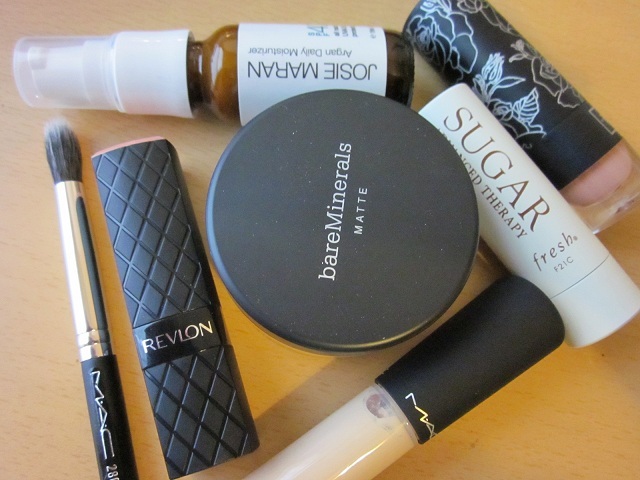 When I was much younger, and before the time of using liquid foundations, I only used mineral ones. At that time, BM was the option that every one was raving about simply because nothing else was available yet (in my opinion). When the matte formula was first released, the shade “Golden Fair” wasn’t available, so I used “Fairly Light” which was too neutral-toned for me. Because of the unsuccessful color match, I gave up and moved onto bigger and better things – only to forget about BM for years. Recently, I got re-interested in BM’s matte foundation because of the shade “Golden Fair.” Just by looking at the loose powder particles I could tell this would be more of a suitable match for me. 4. and, because Houston’s nearly year long heat wave is rapidly approaching, and I know liquid foundation will begin to slip and slide all over my face. Having said all these things, I hope to report back to you soon. What are you hauling? Anything you would recommend? It’s a modest haul and nothing extravagant. But my excuse to myself was: I need to pick up things I need (and while I’m out and about, I’ll just have a look around). 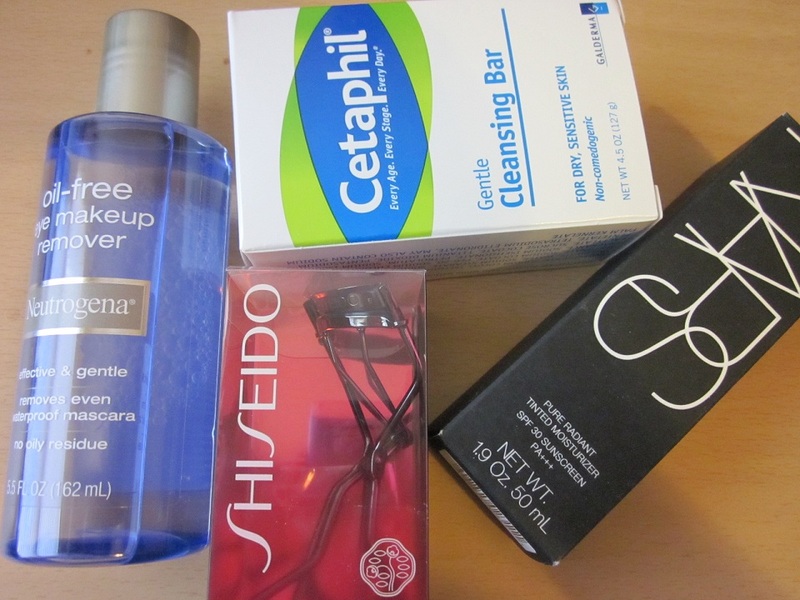 In my defense, I really did need more of my trusty Neutrogena eye makeup remover and I really did need my Cetaphil soap. Recently, I randomly switched over from their liquid cleanser to the bar soap one and I’m totally loving Cetaphil in a whole ‘nother way. My old eyelash curler was the Shu Uemura one – which I’ve been dedicated to for the past 10 years. It’s held up well because I just replaced the rubber pads and I was too stingy to pay the $20 for a stupid eyelash curler, haha. And FINALLY, it was time to part with it because it was just old and I’m ashamed to admit that I hadn’t replaced it this whole time. So after going back and forth with what I wanted to do, I gave into purchasing and new eyelash curler for yet another $20. But I do have to say that I like that it’s a dark gray (but shiny) color; and it’s just nice to have a new tool. And, the best part of today is FREE stuff. Actually, it wasn’t totally free since it takes some dollars spent to rack up some major reward points. I scored the Tarte set for my 500-points Beauty Insider reward. I’ve been saving my points because nothing had appealed to me for months. But I’m glad I saved because I love everything in this set! This was my free gift at Ulta for the quarterly reward thing. This retails for $20 so it’s not too shabby. 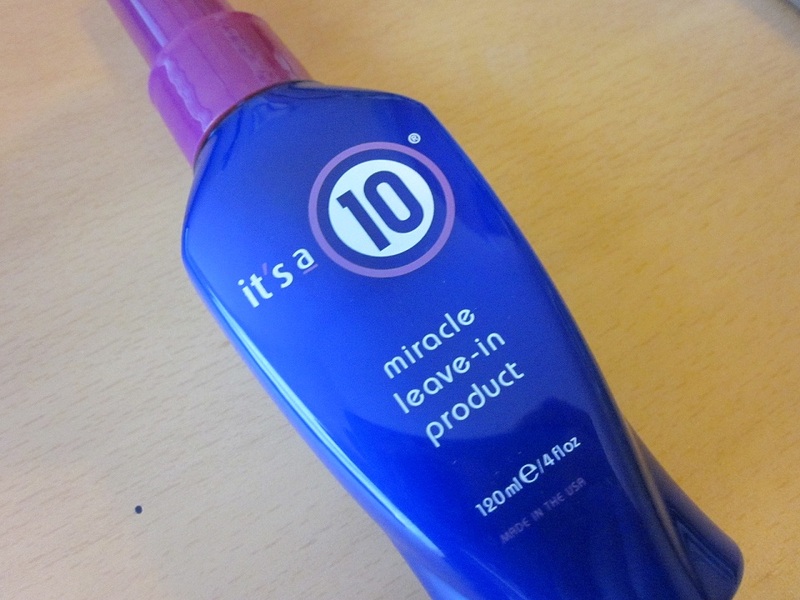 I haven’t tried this brand and normally I don’t gofor leave-intreatments. But I’m eager to try it since my hair has been getting super long, so I’ll report back soon. Here is everything unpackaged and looking pretty. Oh yea, I got a nail polish too. It’s taken me awhile to purchase Butter London polishes because of the price. But I bought the color “Trout Pout” from the Spring line because YouTube made me do it. I’m going to take this baby with me to the nail salon when I go in for a pedicure – woohoo! Review on the tinted moisturizer will be coming up soon. I’m going to be trying it out for the next few weeks; however, let me just forewarn you that I have ridiculously high expectations for base makeup and I normally don’t even stick with wearing tinted moisturizers unless they totally wow me. 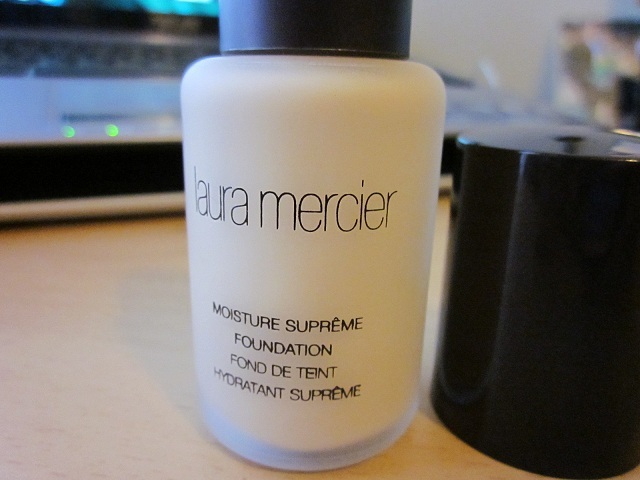 I will be comparing this to the famoulsy popular Laura Mercier one. We shall see. I was playing with polyvore.com and created a collage of the upcoming Spring essentials. Other than bright colors and pastel tones, I like to keep things quite minimal in the beauty department since my clothes tend to be brighter in the Spring months. Also, since we’re heading into summer months, I tend to avoid wearing liquid foundations as it gets hotter because it’s going to melt and run down my face any way. Are you thinking about Spring, too? What changes do you plan to make? Effaclar K is 1.5% salicylic acid, 0.3% micro-exfoliating LHA, and 0.05% Retinyl Linoleate. 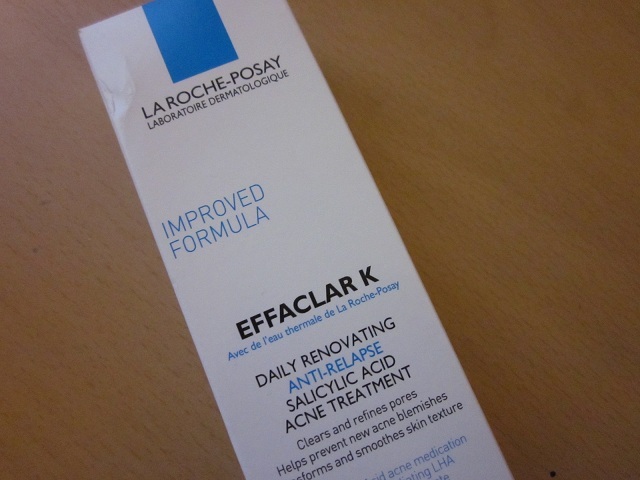 The box claims that this product is “an efficient solution to address the issue of oily and acne-prone skin” with “clogged pores, blackheads, and rough, uneven texture.” Effaclar K is formulated with a combination of LHA and Retinyl Linoleate, “a powerful retinol derivative” and helps to “prevent reappearance of skin imperfections.” The clear-ish gel formula dries quickly and is lightweight. I wear this at night, but this it totally suitable for daytime under makeup as well. Because this product promotes “cell turnover” and “cell renewal,” it exfolites and sloughs off dead/damaged skin cells faster than the body can on its own. In doing so, the acne medication portion of this product is able to penetrate faster and deeper, delivering the goods to the core of your pimplistic problem. In many cases, if you attack the problem early on – a pimple won’t even actually surface fully. The results are quite amazing. For minor issues (meaning – 1-3 red bumps), I can see results over night; and, if something doesn’t go away over night, then it’s significantly better the next day and disguisable with makeup. For more intense issues (meaning – hard, sore and raised bumps on the skin), there’s no such thing as an over night miralce. However, the results are promising and within a day or two, the SIZE of the monster is significantly dimished (which is better than nothing). And, a reduced pimple is better than a growing one. My only complaint about this product is its scent. It smells strongly like cleaning solution or…like, toilet bowl cleaner?? Lol. The scent dissipates after some time but it does linger a bit. Since the product works, I don’t mind the scent; any thing for clear skin! Try looking for this on Amazon. I’ve seen it at a few CVS locations, but most of the time, it’s hard to find. One tube is 30 ml and is made in France. Check the bottom of the box for its expiration date to check for the product’s freshness; my new tube will last until 2014. I would say that I agree with the product’s claims. The texture of the foundation is quite creamy, but once you start blending, it disappears into the skin quickly. It adheres to the skin well – with or without primer – and the color stays true on the skin all day – which means there’s no oxidation. The coverage is buildable, but one layer should suffice on “good skin days.” For the most part, it stays on well throughout the day and appears to have decent oil control. This foundation leaves a very natural sheen on the face after application – which is what gives it its “luminous” effect. It’s a faint glow that gives a rather healthy appearance. I do set my t-zone with loose powder though, because if I don’t, my nose gets oily too soon in the day. The packaging is sleek and simple. The glass bottle is frosted and curves to fit into your hand. The black lid fits snuggley around the nozzle, so it doesn’t feel loose (like Chanel’s). There’s no writing or any kind of print around the glass, which kind of bothers me in some weird way. I think it’s because I’m used to seeing other companies print the title of the product and the brand on the outside of the container. 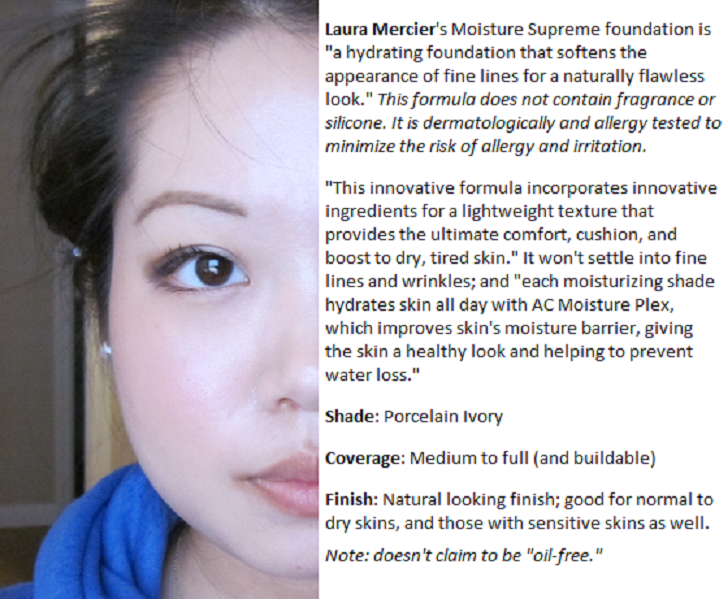 The foundation comes with a pump – a must if you want maximum control and no wasted product. The pump is controllable so it works well whether you want to pump 3 pumps or you want to pump 1/2 a pump. My only gripe is the smell. The foundation is fragrance-free – and while that is a plus for me – it still has a smell. I can only describe it as a faint plastic-y smell that is noticeable upon application, but fortuantely, it doesn’t linger so it’s easy to forget about. Not a major issue, but it can affect those with sensitive noses. At 1 fluid ounce, the Luminous Silk foundation is a whopping $59 USD. It’s quite hefty, but out of the base products I have tried, I would say that this one is my favorite and on most occasions, it surpasses the performance of Chanel’s foundations. When I decide which foundation to wear, it mainly depends on my mood and how I’m feeling before I decide if a particular occasion is important. Of course, like everything high-end, this isn’t a must-have; and, it certainly won’t kill you to pass it up. 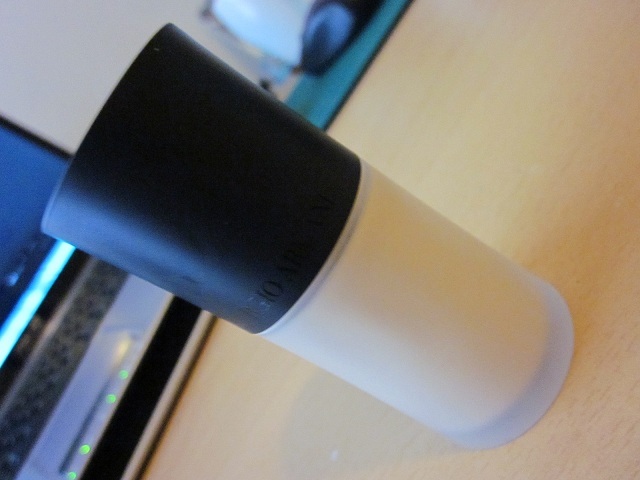 However, I do recommend this foundation above all others because it’s so fool-proof. You can’t mess up applying this foundation, and I feel that no matter what, it looks good on the skin. If you get a chance, do check it out! Don’t mind my library-like background, haha. I like to read! 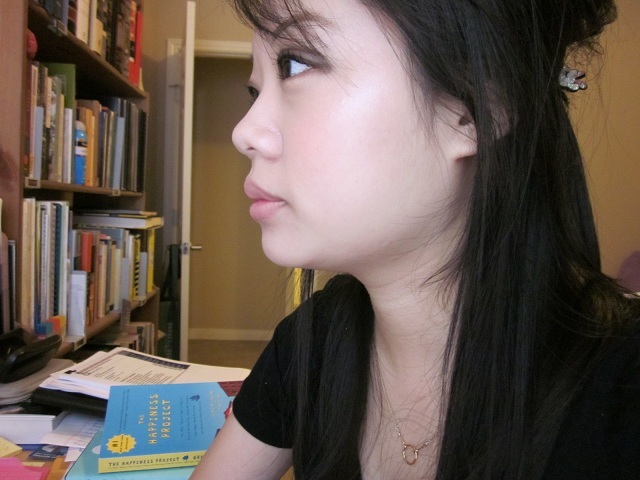 Anyway, here’s a sideways shot of me wearing this foundation. It blends seamlessly into my neck and appears to “be one” with the rest of me, which is important when applying foundation correctly. Also, ignore my messy hairstyle – clearly, my hair wasn’t photo-ready this particular day, even though my face was! I purchased mine at Neiman Marcus after a thorough consulation. 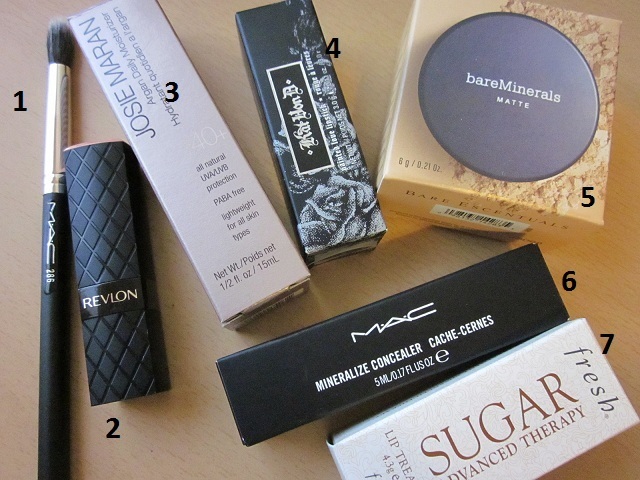 What’s your favorite foundation? Have you tried Luminous Silk? *Images have not been altered and were taken in natural lighting. Ah, yes, yet another foundation that I’ve been experimenting with as of late. Notice that by the title given to this post, I’ve been dabbling in using the moisturizing formula rather than the matte. 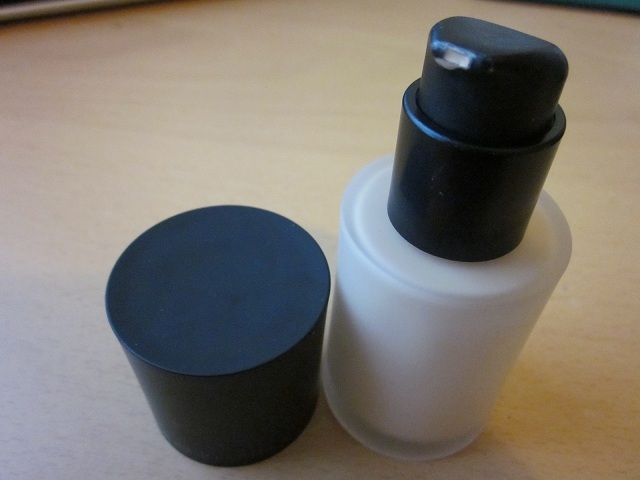 The reason for this is because the matte formula felt like plastic, and it was barely able to blend because of the “hard” formula; strangely, when I applied it to my hand, the foundation was hard to “move around” because the formula was for a matte finish. When I tried the moisturizing one, surprisingly, I liked the outcome much better. This is my first moisturizing, line-minimizing, anti-aging foundation. So far, I like it; and, even though I don’t have visible lines quite yet, the finish is extremely smooth, light, and NOT greasy (despite its claim to cater to drier skin types). I’m using the shade “porcelain ivory,” which is the lightest shade in the range. And, despite “ivory” being a part of its name, there are no pink tones whatsoever in the shade. It is quite yellow and matches my fair skin well. Unfortunately, I must admit that for many, finding a shade may be difficult because of the shade range’s inconsistencies. When researching this product, half of all consumer complaints came from those who were loyal to a previous formulation of the moisturizing foundation. Apparently since the re-formualtion, shades and consistency of the formula changed. I, for one, like this foundation very much; and, having said that, I have no previous experience with any particular formulations prior to this purchase. Also, when researching, women who used this foundation were between the ages 18 to mid-50’s. Normally, anti-aging, line-minimizing, moisturizing foundations are catered towards women with more mature skin. So, in my opinion, I think it’s safe to say that this will be okay for pretty much any one, unless you have oily to really oily skin. If foundations regularly slip off of your skin because of excess oil production, this may not be the right product for you. I applied this foundation with a buffing synthetic brush. I’m curious to see how this product will perform in the summer, but my expectations are not high because it never claims to be “long wearing” or “oil free,” so I can only assume that this is a foundation to wear under quite regular, non-special occasion circumstances. I’m currently playing around with some editing techniques to make posts more viewer-friendly. So, please be patient while I fumble around with new software! Thanks for reading. I’ve been on a blush kick lately; and, surprisingly, I’ve recently become interested in colors that I’m normally not attracted to. The reason I started to explore more color ranges is because there’s only so many peachy-pink colored blushes one can own before there’s no reason to keep purchasing them. 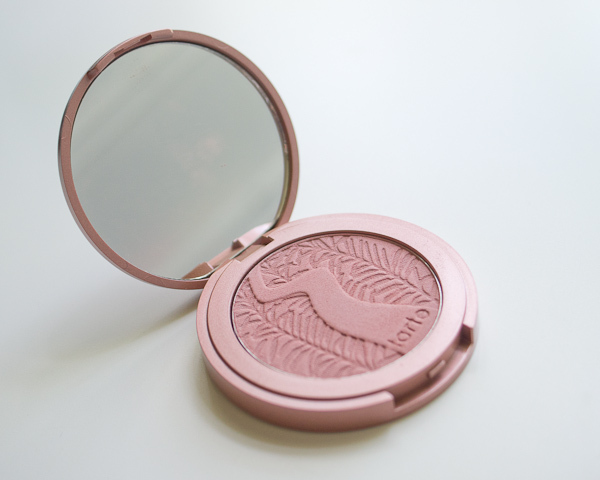 Tarte’s Amazonian Clay Blushes have been hot for quite some time now, and though I find the “amazonian clay” part to be gimmicky, I discovered the color “Exposed” only after every one their mamas owned it and loved it. Much like many beauty enthusiasts, I obsessively researched beauty blogs online before making the decision to purchase this. Like I said, the “amazonian clay” part is gimmicky to me – but, I do admit that the blush does wear well for a good portion of the day. “Exposed” is a natural color that is buildable and makes me look alive and awake when applied to my fair skin. It cannot be subsititued for bronzer because of the rosey undertones, and since the color itself is on the darker side, I like that against my fair skin, it accentuates the color of my skin. Another color I got from this line is “Blissful,” a candy-pink color that is quite bright. Normally, I wouldn’t purchase such a loud color since I favor the subdued look on most occasions. However, the color in the pan was so pretty that I couldn’t resist. The bright color is in no way natural looking, but I like that it gives my skin a brighter look. I would even venture to say that darker skinned gals would benefit from this color because it could provide that healthy glow. For me, I have to apply “Blissful” with a lighter hand and fluffy brush; otherwise, I’d look like a creepy glass doll. 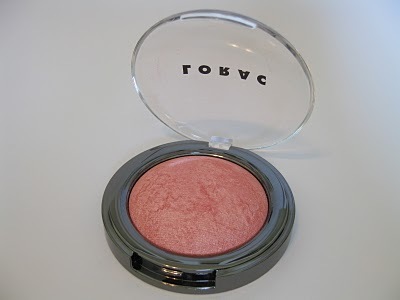 I’ve saved the best for last – my favorite blush: Lorac’s blush, also named “Exposed.” This would be the typical color that I normally would go for – a peachy-pink color with slight shimmers. I feel that colors like this really brightens and lifts the face. It’s tone gives off a healthy glow, and irridescent effect that doesn’t look overdone. Lorac’s Baked Matte Satin Blush “contains a silky-smooth, highly pigmented formula that blends easily and evenly for natural, long-lasting glow.” It applies beautifully, has good lasting power, and even though it’s labeled “matte,” it doesn’t give you that flat-dead look. It’s a gentle color, dare I say, a “safe” color? It’s the perfect blend of peach and pink; and though there are visible shimmers, none that will make you look like you’re a junior high student. 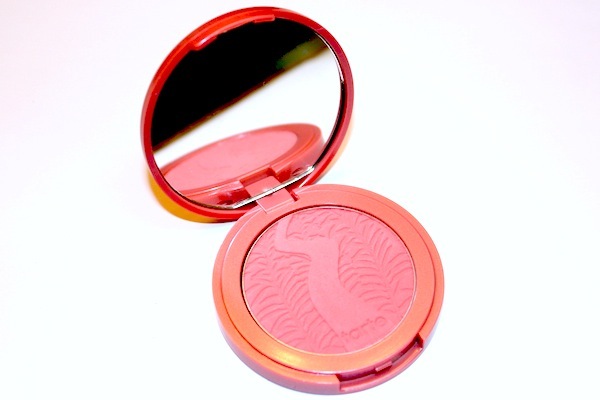 What are your favorite blushes? Any new exciting purchases on your end?